Cook with ease. Cook with passion. Powder Coated rugged MS frame – Where strength matters, a multi-steel frame comes in as a handy option. This assures great durability to the product. Green Passivated Tubes - Corrossion resistant - These special tubes makes the product corrosion resistant and assures safety for a long period of time. 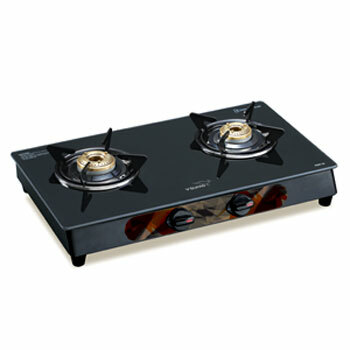 Fuel efficient HD (High Density Brass Burners) - This incredible feature helps a great deal in saving fuel and making the whole process of cooking much more economical. Uniform perforated design heating – This feature assures uniform distribution of the flame and a far better cooking convenience. 360 Degree revolving nozzle - Struggling with nozzles that you can connect only from a single point? Then here is yet another amazing feature of this product which provides a 360 degree revolving nozzle, which means that you can connect it from all sides.